How do fitness industry power couples succeed and thrive? Sometimes opportunity knocks. Sometimes it also proposes. We talked to six fitness industry dynamic duos who are partners in business and in life. If you’re contemplating going into business with your spouse—or you’re just curious how fitness entrepreneurs make it work when they’re also partners in life—you’ll want to hear what they have to say. The 50% of marriages that end in divorce might make you think twice about adding the stress of a business partnership to your domestic relationship, but these couples point out benefits you may not have considered. For one thing, you share a stronger bond of trust with your spouse than you’d share with other business partners. And your spouse has seen you at your best and at your worst, which could help you learn faster and become more open to different perspectives on a situation. Besides, who else shares more of your goals, passions and vision? “Every day we get to get up together with this joint goal of challenging the world to change. Every day we gain traction,” says Colin Milner, CEO and founder of the International Council on Active Aging® (ICAA), which he runs with his wife Julie, the chief operating officer. Still, questions arise. Do you turn off the work faucet at night? Do you keep it strictly professional at work? Do you discuss your excitement over an upcoming trip together at work? Do you talk about your business in front of the kids? Whom do you vent to? Just who is the third party you complain to about a poor decision? Trust, loyalty and passion—hallmarks of a good marriage—are among the secrets of a successful business partnership, our half-dozen couples say. You want to pick your investors as carefully as you’d pick your spouse (or have your spouse be the investor). Above all, you need to invest as much in your relationship as you do in your business. Working together does complicate a marriage. Communi-cation gaps multiply. Depending on the size and scale of your business, you may not see your spouse all day, so finding time to talk is a must. That can be especially challenging if you’ve launched a startup and you’re focusing on practical business skills all day. If that becomes a habit you don’t break, it will be hard to build the business, let alone work on the two of you. Too many small-business owners fail to delegate day-to-day tasks, making the business overly dependent on its founders, which can hurt you at home and at work in a hands-on business like fitness. Business is like a baby: You should encourage it to walk on its own. That means working on your business, not in it, and letting your team make your business. Rachael and Alwyn Cosgrove, owners of Results Fitness, have powerful evidence of the value of growing a team and sharing burdens. When Alwyn was diagnosed with cancer, they had to step away from the business for nearly 3 years. All the while, their business continued to thrive. Preparing for the unexpected requires a strong team. “Be we, not me,” Rachel advises. Industry knowledge and experience. A working knowledge of fitness instruction has served these partnerships well. 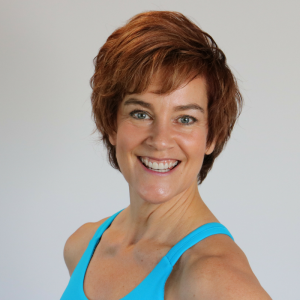 Kathie Davis, Moira Merrithew, Sandy Franco, Lynne Brick and Julie Milner are experienced group fitness instructors. Rachel and Alwyn Cosgrove have hands-on experience training clients. While they may not be teaching end-consumer classes today, they understand and empathize with their staff and customers. No doubt, these qualities have helped to shape the services and products their businesses provide. Business acumen. While one partner’s practical experiences bring unique perspective to developing products and services or educating staff and customers, the second partner can take on other key responsibilities. At least one partner in each of the six pairs has a strong sense of business and finance. Similar goals. Family, wellness and inspiring others to a healthy lifestyle are core values for Kathie and Peter Davis, cofounders of IDEA Health & Fitness Association. Today these values are built into everyday life for the Davises, as their children Jason and Kelli have both joined the business. Humor, trust and respect. Humor is a strong common denominator among these business couples, who also agree that mutual respect and trust make their relationships work. “Who would you trust more?” Alwyn Cosgrove points out. “None of us is perfect,” says Lynne Brick, who cofounded Brick Bodies Fitness Services with her husband Victor. If trust is there, though, forgiveness is easy. Having the utmost respect for each other’s expertise further boosts the success rate. Confidence and communication. “There’s no one either of us thought could do it better,” say Sandy and Ron Franco, co-owners of Franco’s Athletic Club. Confidence in the other’s competence is essential. Communication is another must for these business couples. With jam-packed schedules covering different bases within the business, they have to set aside time to catch up, plan and strategize. Passion and play. A passion for fitness and a dream of owning a fitness club gave Sandy and Ron Franco their start; sharing those values keeps the fire going. Both believe in family, faith and community, and they use hard work and a drive for excellence to deliver on those values. A need to play can get lost in the focus on business. Lynne Brick emphasizes that playing hard is as important as working hard in keeping both the business and the relationship operating strongly. Advocates of work-life balance say that health and happiness require getting unplugged and disconnected from work. How is that possible when you’re staring across the pillow at your board of directors? Find a good mix. Our couples are mixed on how to meld their home and work lives. It may be more a dance than a split down the middle. Some couples tango only at work, while others waltz gracefully into evening and home. It’s not as simple as assigning roles for each partner or drawing a line between home and work. If you’re working side by side all day, you’ll need a way to transition easily back and forth between the two—but work does not have to stay at the office. “If there’s something you’re both excited about, why wouldn’t you want to bring it home?” Colin Milner posits. If you love your work, you may not mind if home and business aren’t so separated. You need to know each other: One partner may be ready for a break after meeting with people all day, while the other—who stayed at the office—may need to talk over some work-related details. Nurture family values. In their approaches to family time, especially mealtime, business partners vary. For couples with children, meals are opportune times either to focus wholly on family or to introduce the nuances of both positive and negative situations at work. The ups-and-downs of business gave Sandy and Ron Franco a way to teach their family resilience. “Sharing day-to-day happenings with our growing children provided a model for what life throws at you,” Sandy explains. Family life and kids were the focus, but she and her husband shared business stories too. When owning a business is a large part of your life, it naturally permeates conversations with those closest to you. The upside? “Dinner out is a shareholders’ meeting. It’s a tax write-off,” says Alwyn Cosgrove. Identify pressure valves. Of course, working with your spouse can have the occasional downside. Business is intense. You’re both tired, working on a stressful situation or staff problems, for instance. When you want to escape, it’s tough to turn to your spouse for support if he or she is going through the same challenge. And there’s always going to be worry about the business. Fortunately, if you’re working with your life partner, you can worry less about professional trust. And like the Cosgroves, you may find that this helps you handle stressors at work. “We decided if one of us was worrying, we both didn’t need to,” Rachel says. Conflict will occur from time to time, of course, and thorny matters will need attention. But if you aren’t seeing eye to eye at work, the disagreement is off-limits at dinner, say our interviewees. “We try to keep the discussion away from the dinner table when we eat a meal together. We often meet off-site to discuss business matters,” Lynne Brick said. Get the timing right. Kathie and Peter Davis agree that not talking about business at home after 6:00 pm when they had small children allowed them to focus on family without distraction. Now that their children are grown, catch-up may happen over dinner but not after. Bringing up work issues before bedtime is against the rules in the Franco household. “It doesn’t make for a good night’s sleep,” says Sandy. Mind the staff. Boundaries may be needed for employees, as some become adept at playing wife against husband. Sandy and Ron Franco have figured out how to keep decisions on hold until both are aware of the situation. Rachel and Alwyn Cosgrove say they have developed systems and a culture that minimize this problem. Turn off gadgets. Limiting time on cellphones or computers while at home helps some entrepreneur couples reconnect away from work. If a few minutes on the computer has turned into hours, a friendly tap on the shoulder can be a helpful reminder, says Sandy Franco. Stay in sync. Running a business together doesn’t necessarily mean you’ll be joined at the hip at work. The bigger challenge may be finding time to communicate about areas of work that you need to talk about. That’s where business can spill over into home life more than you want. Setting boundaries for “professional life” and “personal life” conversations can keep family life in focus. Spend off-work time together and apart. Fitness couples will be the first to tell you they enjoy being active together. Being active apart also contributes to a strong relationship. In addition to enjoying activities with Colin while they are traveling, Julie Milner takes walks with her friends. Rachel Cosgrove competes in Ironman® triathlons and powerlifting. Striking a balance between you and the two of you is healthy and may be more necessary than usual when you work and play together; otherwise, you may find yourselves isolated from others. Do you need space—and worry that you’ll lose that if you go into business with your partner? Sometimes the challenge is being together enough! With some of our couples, the partners literally have to hold meetings to stay current with what’s happening. When the Davis IDEA family expanded to include son Jason and daughter Kelli, the foursome started walking to lunch together to stay in the loop on what was happening in their various roles. Our six dynamic duos say they have distinctly different yet complementary skills that lend themselves to a divide-and-conquer approach—divvying up key tasks and responsibilities to improve efficiency and streamline operations. How do they make it work? Stay in touch. Lynne Brick says that within their day-to-day business, she and Victor often don’t have overlapping schedules. A daily meeting at Starbucks helps them to connect intentionally and go over business updates with each other. “We often don’t even see each other during the course of a day,” she says. Whether they meet for a morning coffee or for a debriefing after work, both the Bricks and the Francos agree that communication is key. “Being the last to know never goes over well,” notes Sandy Franco. Delegate daily tasks. Kathie Davis oversees content, educational issues and information presented at conventions and in IDEA publications. Peter, on the other hand, oversees the business’s strategic planning and finance, along with revenue and sales functions. While they share joint responsibility for human resources and marketing, they’re handling their own specific tasks during much of the day. Divide vision and detail. Among the contributing couples, one partner tends to be more visionary while the other focuses more on detail and implementation. One does marketing and brand development, and the other handles financial operations and business. Given the ever-changing and educational nature of fitness programming, at least one of the two partners is involved in that area. Making decisions is easier when there are clear, distinct areas of responsibility. At the end of the day, someone decides what’s best for the business. Julie and Colin Milner’s personalities have shone through since the conception of the ICAA. Driving from San Diego to Vancouver, Colin called Julie to share his plan. Colin is the visionary and big-picture strategist. Julie puts her skills to work implementing the projects and details. Victor Brick is CEO for Planet Fitness Growth Partners, focusing on growing the business and making what Lynne calls the “break-the-bank” decisions. Lynne puts her talents to work as group exercise department visionary, supervisor and brand agent. She wears multiple hats under their different business divisions, also supervising personal trainers and staff development. Daughter Vicki handles the daily business details. This division of domains helps couples (and their families) get much more done in less time, allowing them to preserve their personal relationships while growing their businesses. All couples disagree. Business partners disagree. How do couples in business handle conflict? It’s not as though you can go home and decompress or vent. But there is an upside: Couples in business together often have a wealth of experience working through major decisions together. By managing their finances, purchasing a home and/or raising children, they have already flexed their joint decision-making skills. See the value in conflict. If the business has a clear mission and each partner has distinct areas of responsibility, disagreements happen less often. “We agree to disagree,” Lynne Brick says. “Conflict is a healthy thing,” Rachel Cosgrove observes. The Milners use differences of opinion to examine all angles of a topic. “If I see it differently, Colin always wants to hear what I’m thinking,” Julie Milner notes. Reach out to third parties. When a difference of opinion isn’t resolved satisfactorily, a third-party counsel can be helpful. In the case of our couples, their teams serve as additional ears and voices for the business. Since team members are committed to the business’s growth but are not emotionally involved, this ensures that decisions are made with clarity. Go all in. Moira and Lindsay Merrithew advise “copreneur” fitness couples to be sure they are fully committed. “The right amount of dedication, creativity and determination—not to mention a visionary business plan—are so critical for success,” Lindsay declares. Believe together. Lynne and Victor Brick’s formula for success is sharing the same foundational beliefs and core values. Their personal values of loyalty, integrity and service have sustained 37 years of marriage and spilled over into business values that act as their compass. Talk to each other. Sandy and Ron Franco once again emphasize the importance of communication. In business and in relationship, it’s key. Be sure you’re compatible. Rachel and Alywn Cosgrove suggest couples first look at whether both business ownership and partnership are right for them. Alwyn points out that those decisions have nothing to do with whether it’s your spouse you will be working with or not. Julie and Colin Milner emphasize how important it is for the personal relationship to be healthy. “If you get along, [being business partners] will strengthen your relationship. If you don’t, it will probably break it,” says Colin. Start small. Kathie and Peter Davis encourage couples considering a joint business adventure to like working together and spending a lot of time in each other’s company. Consider working together first in a small way before committing to a new business, they advise. If each partner has strong enough skills in their areas, the collaboration will go much better. If you can do it alone but you’d rather do it with your spouse, you’re in a good position. Do your part. “Couples who already experience a conflict-free relationship at home will probably find it continues that way if both partners are able to hold up their responsibilities,” says Kathie Davis, drawing on her 33 years of experience. What’s the bottom line from our panel of business couples? Really love your spouse. Love your work, and take it seriously with a good dose of humor. Skills and values. Beyond having the right skills to win customers and earn a profit, couples must share similar business ideals. Work-life balance. Couples cannot allow the business to overwhelm their personal lives. This is especially true if children are part of the mix. Clear boundaries. Successful couples have certain lines they do not cross. They also guard against employees trying to play them off one another. Unified goals, separate roles. One partner typically focuses on vision and leadership, while the other zeroes in on everyday operations, streamlining the business efforts. Conflict resolution. Rather than avoiding differences of opinion, couples embrace them, enabling partners to see a challenge from multiple perspectives. If you start a business, how will you end it, if that becomes necessary? Will you sell? What if one partner decides to move on to something else, but the other wants to keep the business going? Say the two of you decide the partnership at work isn’t succeeding and you want to change it in order to keep the partnership at home working. While plenty of exit strategies are available to entrepreneurs, this side of the business venture is not always in the forefront at the startup stage. Did our fitness copreneurs plan an exit strategy for one or both partners? Moira and Lindsay Merrithew did not set up a formal exit strategy or discuss one prior to launching a business together. “If the time or situation presents itself where we were to sell our business, we would most likely exit the same way we entered—together,” Lindsay says. Lynne and Victor Brick also say they have no exit strategy, but they did implement a transition strategy when daughter Vicki became CEO of the family business. “Brick Bodies is a legacy business. It will be around as long as there is a Brick to run it,” Lynne states. Serial entrepreneurship sometimes comes with a willingness to work long hours. Delegating isn’t always the first thing that comes to mind. Sandy Franco confirms that this has been true in her case, but now she’s doing more to strategize and mentor people on her team. The Francos don’t have a formal exit strategy either, and they look forward to retaining a lifelong role in the business, but they may choose to increase their freedom by moving more into mentoring roles. “I think we both will always want to be involved with our business, but look forward to passing the torch to someone else, while being there to cheer [that person] on,” Sandy said. Finding joy in working every day with their core values leading the way, Kathie and Peter Davis have decided to continue doing what they love as long as they can. They have no plans to exit their company.